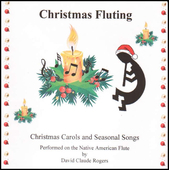 The Oregon Flute store is proud to carry music by some of today's most passionate Native American and Native-influenced performers, musicians, and recording artists. Raven's Cry is Twohawks’ third album in his discography. The album title is inspired by Suzi Raven's Cry Rice of the Wolf Creek Cherokee Tribe. The album consists of thirteen original songs. Young Emily Thomas an 11-year old student of Twohawks is introduced on the album and plays two solo flute songs as well as "Nevermore" a duet with Twohawks. Also appearing on the album is Charlie Crow Dog Myers who plays the Australian Didgeridoo on two outstanding tracks Shapeshifter and Raven Medicine. The album is loaded with wonderful Native American flute music and percussion from large Native American Mother Drums as well as the African Djembe. 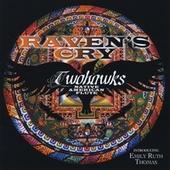 The album is Contemporary/Traditional Native American Flute Music in Twohawks, unmistakable, style. This is an album you are going to want to listen to again and again. 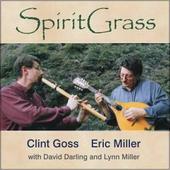 Wonderful ambient sounds to accompany the Native American Flute make this an outstanding album. Returning to his roots, Jan Michael offers a masterful Native American Flute Performance with original solo flute melodies that travel from meditative to upbeat with world percussion! The Christmas carols and seasonal songs on this CD have been with us for many years. They help us celebrate the sacredness and joy of the Christmas season. There is a special beauty that emerges when they are played on the Native American flute. The tone of the flute seems to enhance and enrich the beauty of these special melodies. Campanion Songbook sold separately or save $2.00 and order together. If you are looking for a way to get into the mood of the holiday season then take off your coat, start a fire, and sit down for a treat. 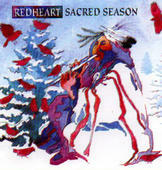 This CD contains a wonderful blend of Native American flute, saxophone, piano, and drums. Vince and Abraham are both wonderfully gifted artists painting a wonderful holiday landscape full of warmth and cheer. It features a total of 12 favorite Christmas carols that most everyone will recognize: The First Noel, Coventry Carol, What child is this?, O Come All Yee Faithful, Angels We Have Heard On High, O little Town of Bethlehem, Joy To The World, It Came Upon a Midnight Clear, O Come O Come Emmanuel, Hark the Herald Angels Sing, Lo How A Rose E'er Blooming, and Silent Night. You are sure to get the season started with a smile listening to these classics presented a new way with the Native American flute. 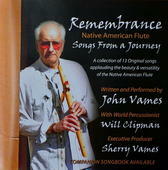 This collection of 13 original songs by John Vames is music celebrating the beauty and versatility of the Native American Flute. 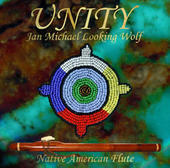 Most songs on the album are written in traditional Native American style, meditative with solo flute. Remembrance, Your Own Special Way, The Gift, Broken Wing and After the Rain are presented just that way. As Above So Below, Call to Spring and The Wedding, though traditional, have a contemporary feel when experienced with Will Clipman's accompaniments. Lastly, there are those songs that speak in a Jazz voice, like Sweet. His Blue Flute begins with a traditional Native sound, kicks into jazz and then returns to traditional. Lost on the Rez is another blending of traditional and jazz. You can hear the mix of two cultures: a push and pull influence of one on the other, their confusion and attempt at resolve. The award winning Jeff Ball Band continues to explore the boundaries of the Native American Flute on this new album. Jeff plays the flute in a traditional style amid a tapestry of other instruments including guitar, percussion, bass guitar and strings. Flutes made on this recording were made by, Brent Haines, Butch Hall, Geoffrey Ellis and Jeff Calavan. 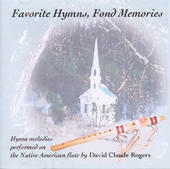 Favorite Hymns, Fond Memories was inspired by the responses of persons of faith to the spirituality of the words and melodies of these beloved hymns. These hymns are an important part of their worship experience, and they provide an inner strength and sense of God's loving grace in their lives that pull them through all of life's experiences. The tonal and expressive qualities of this particular Native American Style flute makes it a perfect instrument to portray the spiritual aspects of the melodies. It is my hope that as you listen to these beautiful melodies you will be uplifted, at peace and in the knowledge of God's loving presence in your life. 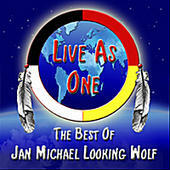 Jan Michael Looking Wolf, has become well known for delivering masterful performances of the Native American flute. Drawing inspiration from life on his Indian Reservation and experience as a Kalapuya Native American with mixed Irish descent, Jan Michael offers beautiful solo-flute songs of hope, healing, and peace. This Native American Music Award nominee and Indian Summer Music award winning recording is a dynamic and exhilarating musical journey of spirited Native American flutes, driving world beat rhythms, the seductive sounds of guitar and piano with Aztec drums, African kalimbas, Indonesian gamelans, Australian didgeridoos and haunting Mayan double flutes. 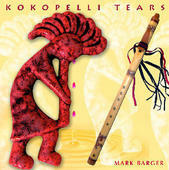 Kokopelli Tears has been a lifetime in the making as it embodies the heart and soul of Mark's music. It is a masterful work of art, featuring solo Native American Style flute music performed by one of the finest newcomers to the Native American Flute world. Mark, a 2007 ISMA nominee, delivers a masterful performance that captures the heart and soul of the Native American flute with this themed album that commemorates one of the sadder moments in this nations history. Hope of healing and love abound from the songs contained herein. From songs that were played along the trail of tears to songs that were written or chosen specifically for this event by Mark, this will be an album tied to the history of our land that you will treasure for a lifetime. Sometimes the wind whispers and sometimes the wind howls. When GRAMMY winner Mary Youngblood lets the wind flow through her Native American flutes the result is always one of beauty and joy. Inspired by the wisdom of nature, Mary writes, “The trees have given a voice to me, the voice that sings to you now.” Her eclectic musical style evokes feelings of freedom, gratitude for the blessings of life, our Dance with the Wind. 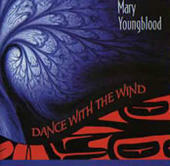 A fresh and unique performance on the Native American flute with Mary’s signature melodies and sweet vocals framed in captivating arrangements spanning a variety of musical styles. Guest appearances by Ian Anderson, Bill Miller, and Joanne Shenandoah are full of energy, warmth and passion. Has 11 songs and one bonus track. Mary's original sound promises to take listeners to places they have never been with the Native American flute. 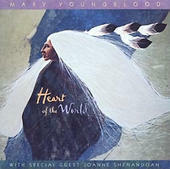 Colorful, poignant, and textured, these songs are uniquely presented including multi-chambered flutes, guitar, percussion and the exquisite voice of Joanne Shenandoah. Both meditative and playful, this recording is a true celebration of the heart. 1999 release. Native Flute Tracks is a series of "play-along" CDs for jamming, improving your playing, performance, and fun on Native American Flutes. 77 minutes of background music for improvising and jamming in the key of E Minor. 21 tracks in different styles that can be used for practice or performance. This music-minus the flute was created so you can play your own flute playing style with it. This fourth production CD in the series, Jam Tracks in E Minor, is now available! Every flute player will enjoy the free-flow of their playing and discover talents they didn't know they had. 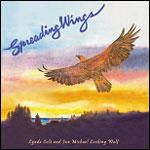 Twohawks sends us on a wonderful journey filled with changes on this latest CD release. This CD is filled with 13 original songs with emotion and one of the best renditions of “Amazing Grace” that we have ever heard. The use of ethic instruments adds a wonderful dimension. The clay Death whistle stirs up the wind as the drums beat true. Changes includes a song tribute to the late Dr. Richard W. Payne and is played on a Toubat replica flute adding an ancient voice to a changing future. Twohawks daughter lends her beautiful voice to sing the title track song “Changes”. This CD is beautiful and is highly recommended. Regular $20. This month $18. This truly is Jeff Ball at his best. "Return to Balance" is a collection of favorite tracks from his recordings "Prairie Runner", "Reverence", "Cedar Moon", and "Songs of Winter" along with original songs written for a film titled "Return to Balance, A Climbers Journey". Jeff was selected by Director-Cinematogragher Sterling Johnson to paint a musical soundtrack that captures the stark beauty of Yosemite for the film. It may serve as a soundtrack to the film but Jeff Ball's Return to Balance is also a wonderful introduction to his enchanting music. An ultimate Jeff Ball collection we highly recommended. Close your eyes and prepare for a beautiful experience. A peaceful yet powerful journey through exquisitely varied music on silver flutes, Native American flutes, harp, guitar, hand drums, and a touch of gentle vocals. In this beautiful CD, Looking Wolf teams up with amazing silver flutist and harpist Lynda Cole, resulting in a landscape of original melodies. While perfect for meditation, relaxation, and calming the spirit, this recording is very unique. Native and Silver Flutes, Harps, Acoustic Guitars, and a variety of world percussion all singing together in harmony! Regular $20.00. 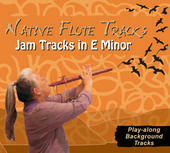 Native Flute Tracks is a series of "play-along" CDs for jamming, improving your playing, performance, and fun on Native American Flutes. 80 minutes of background music for improvising and jamming in the key of F# Minor. 24 tracks in different styles that can be used for practice or performance. This music-minus the flute was created so you can play your own flute playing style with it. This third production CD in the series, Jam Tracks in F# Minor, is now available! Every flute player will enjoy the free-flow of their playing and discover talents they didn't know they had. The phrase many use to describe Mary Youngblood is "A female R. Carlos Nakai". The Native American Flute comes alive in the hands of Mary Youngblood. Of Aleut and Seminole ancestry, she is one of the first Native women to record this sacred instrument. This is a recording of a profoundly original and vibrant performance in the natural acoustical space of an underground cavern in California. Besides Mary's flute and breath, the only sound heard on this recording are the natural sounds of the cavern, mostly drops of water, which add just enough presence to let yourself imagine being there. Her haunting music is available on CD. Native Flute Tracks is a series of "play-along" CDs for jamming, improving your playing, performance, and fun on Native American Flutes. 80 minutes of background music for improvising and jamming in the key of G Minor. 20 tracks in different styles that can be used for practice or performance. This music-minus the flute was created so you can play your own flute playing style with it. This second production CD in the series, Jam Tracks in G Minor, is now available! Every flute player will enjoy the free-flow of their playing and discover talents they didn't know they had. We have had the honor of calling TwoHawks our friend for several years. We are thrilled to see him record his wonderful spirit. TwoHawks became motivated to create his CD, Sends A Voice, after witnessing first hand the wrath of Hurricane Katrina. Sends A Voice combines the haunting sounds of the traditional flute with drum and Didgeridoo. Each song tells a soul-touching story. This is a CD that you will play over and over leaving you wanting more. 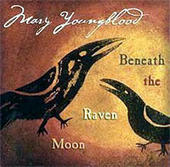 Beneath the Raven Moon is poetry of the heart flowing forth from the Native American flute as only Mary Youngblood can play it. This superb collection of songs showcases her award winning talents in adventurous new settings from blues to classical, all the while treating us to the beautiful heartfelt melodies for which she is known for. 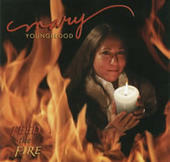 One of the true stars of Native American Music, Mary Youngblood is the winner of numerous awards including: Best female artist, Best Flutist at the Native American Music Awards. 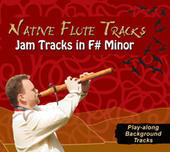 Native Flute Tracks is a series of "Play-Along" CDs for jamming, improving your playing, performance, and fun on Native American Flutes. This first production CD in the series, Jam Tracks in A Minor, is now available! It Features 80 Minutes of background music for improvising and jamming in the key of A minor. With 20 tracks in different styles that can be used for practice and performance there is something for everyone. This music-minus the flute was created so you can play your own flute playing style with it. We introduced it at our last Oregon Flute Circle and it was a huge hit. Even new players enjoyed the free-flow of their playing and discovered talents they didn't know they had. 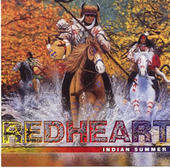 Indian summer is the latest effort by 2 time Grammy nominee Navajo recording artist, Vince Redhouse, and guitarist Abraham Marcor. Simply put Vince is one of the most technically talented flute players on the planet, and consistently wows his listeners with his unique musical abilities. Vince has discovered new note possibilities on the flute using a closed end bird flute that allows him to play classical tunes like Clarie De Lune, with ease. Indian summer is a sultry fusion of Native flute, tenor sax, guitar, and keyboards that make you want to curl up with a hot cup of coffee and melt into the fire. His music takes you on a jazz influence ride that the listener will never tire of. Every song on this CD could be the title song. We love the jazzy style and personally wake up and listen to this CD every weekend morning. I expect to hear this CD get national play well beyond the Native Flute audience. So get up and pour yourself a hot cup of coffee, light a fire, and prepare yourself for a treat.